Kym Brunner's method of creating a manuscript: write, procrastinate, sleep, repeat, but she wishes there was an app for this. She's addicted to chai tea, going to the movies, and reality TV. When she's not reading or writing, Kym teaches 7th grade full time. She lives in the Chicago area with her family and two trusty writing companions, a pair of Shih Tzus named Sophie and Kahlua. She's repped by Eric Myers of The Spieler Agency. I guess for me, storytelling and reading open up so many portals of knowledge. I’ve learned a lot through researching my own books as well as reading others. Not to mention that a person can be transported somewhere they’ll never be able to visit in real life. A win-win! Let’s see…maybe that I took falconry apprentice lessons for several months when I researched another novel I’ve written (unpublished at the moment), Flip the Bird. Afterwards, I went on hunting expeditions with a group of falconers. Was a super cool experience. All-time favorite book just happens to be for adults instead of YA (which I almost exclusively read), but it’s a suspense thriller. GONE GIRL by Gillian Flynn kept me turning pages like mad, eager to find out what happened next. It had a ton of clever plot twists, which I love, as well as intricate details about individuals, much the way my beloved Stephen King is a master at. My favorite YA would probably be Hunger Games. Was so unique and powerful that it blew me away the first time I read it. Popping into another world unlike anything I’ve ever experienced in real life is fascinating. Education opens doors, and friendships can walk you through them. If you’re smart but a jerk, no one will like or hire you. If you’re friendly but not a problem solver, you could be more of a nuisance than a treasure. Be kind and work hard––always a winning combination. 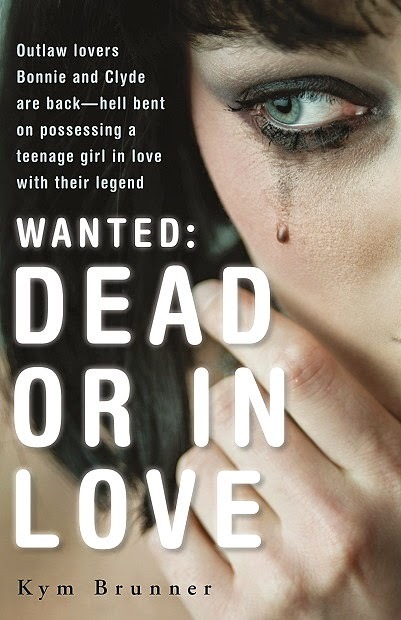 Can you tell us when you started Wanted: Dead or in Love, how that came about? Sure! A few years back I heard about the Barefoot Bandit, a young and handsome teen who’d been caught stealing and crash-landing planes. Made me wonder what would have happened if he tried to elude the Feds circling overhead in helicopters looking for him by chatting up a pretty girl sunbathing in the area. What if the girl fell for his charm before she knew he was a criminal? Shortly after starting a rough draft of a story in that vein, I went on a ghost bus tour in Chicago (my hometown). The narrator mentioned something about Bonnie & Clyde, and a lightbulb went off. How long did Bonnie know Clyde before he told her of his criminal past, and why did she choose to stay with him? That’s when I decided to hitch up the legendary outlaws with a couple of contemporary teens, which is how Wanted: Dead or In Love came about. I think many males are taught to be tough, but when faced with real danger, I think that many guys are just as scared as women, generally speaking. No one wants to die or be imprisoned, all very real possibilities in the book. I felt bad for him because he got mixed up in something without knowingly participating the way Monroe had. He’s a good guy that got a bad deal. Great question! I guess I’d like to see Bonnie Parker meet Katniss Eberdeen, who could show her it’s better to be smart and fight for what you want instead of waiting around for someone to do it for you. For those who are unfamiliar with Monroe, how would you introduce her? She’s smart, strong-willed, and creative, but makes quick choices on a lark that she later regrets. Realize that things you do today can follow you the rest of your life. Things don’t always turn out okay in the end. I think we all magically believe someone else will (*fill in your own dread*), but if you jump at the wrong time, at the wrong place, or with the wrong people, you might not be able to talk or pray your way out of it. These are some fun questions! I actually loved working at an answering service when I was in high school. We were in a large room manned by a ton of other high school girls. When we weren’t on the phone, we ate snacks, drank Diet Coke, and gossiped about boyfriends and movie stars. Well, until the happy owner retired and his bossy son took over, that is. An hour ago. A longtime friend and I made plans for manis tomorrow during her lunch hour and I ended the text with “Love you – see you then!” But I tell my parents, brothers, husband, and college-aged daughters I love them all the time. Love ending in heartbreak for sure. Because before the heartbreak, being in love is one of the most gratifying feelings in the world (which is probably why I have some sort of romance in all of my books, no matter the genre or intended age of reader). The other night when watching Intervention. Twin sons (grown men in their mid-twenties) hadn’t seen their alcoholic, drug-addicted dad in over fifteen years. When Intervention brought them together, one son broke down, lamenting the fact that he searched the face of every black man he passed by for the past fifteen years, wondering if that guy was his father. The sadness of the reality of it made me cry. This decade we’re in now probably because a) I’d be younger, lol and b) technology is a cool thing that makes us all smarter consumers of information. I love Facebook and keeping in touch with people and exploring all the other amazing gadgets that are out there. The faces of my children for the first time. Most amazing and wonderful experience on Earth. LOL – anywhere but my home. Here are a bunch of places I hang out regularly, but you can always email me at kymbrunner AT comcast DOT net if you have a burning question. Would love you to add Wanted: Dead or In Love and One Smart Cookie to your TBR shelf! 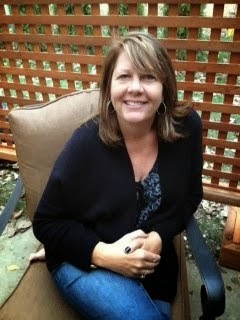 Thank you KYM BRUNNER for making this giveaway possible. 1 Winner will receive a Copy of Wanted: Dead or in Love by Kym Brunner. *deleted the first post b/c I didn't reread it before posting and I sounded as if I had come back from the dead minus my brain. Sorry about that!